Hello, little guys! 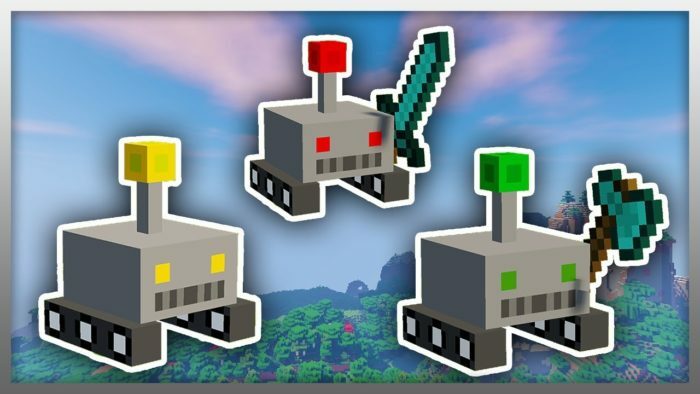 These fun fellas come courtesy of the scrumptious-sounding SupperGerrie2, and will quickly set about making your life in the world of Minecraft a much less stressful one. They come in one of five different varieties, each with a unique role: retrieving items, fighting enemies, planting and harvesting trees, creating and tending to a farm, firing arrows at mobs or dancing like Peter Garrett. Alright, so that last one isn’t real, but you can’t say you wouldn’t enjoy a Peter Garrett dancing drone. Once their services are no longer required, a simple shift right click is all it takes to decommission the loveable mechanical buddies for good. It’s a cruel world, and we fear it will soon lead to the robot uprising.